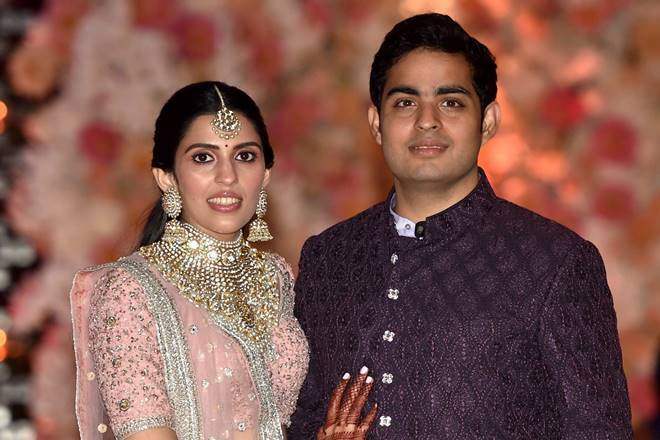 The celebrations for Akash Ambani and Shloka Mehta’s engagement are in full swing these days as both the Ambani and Mehta family are having a gala time celebrating their union with grandeur and glamour. 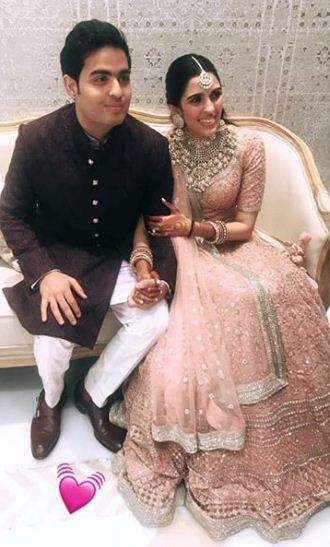 Nita and Mukesh Ambani’s eldest son Akash Ambani and diamond magnate Arun Russell Mehta’s daughter Shloka Mehta are going to tie the knot this year in December. Although there are months before they will get married, the couple will exchange rings officially on 30 June 2018 in Goa. Before the official engagement, their families have thrown grand pre-engagement celebration i.e. mehendi and sangeet parties for family and friends. The exclusive pictures and videos from the sangeet function and pre-engagement ceremony are flooding our news feed for a couple of days. 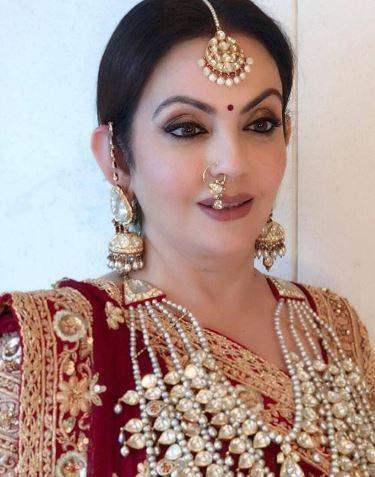 Nita Ambani’s graceful dance performance video from the pre-engagement celebration is also going viral on social media these days. Nita Ambani wore a heavily embroidered stunning maroon and gold saree with heavy kundan and diamond jewellery on the pre-engagement party. She looked ethereal as ever. Nita’s daughter Isha wore a custom-made Abu Jani-Sandeep Khosla lehenga and she looked nothing less than a princess. 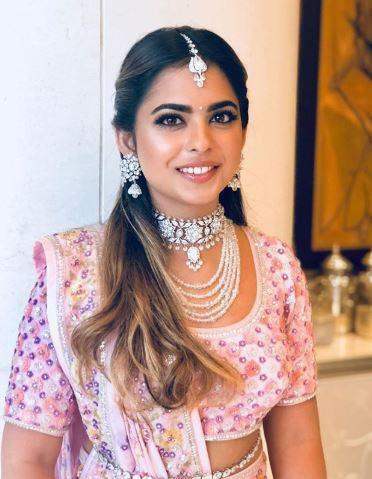 Bride-to-be Shloka Mehta, on the other hand, wore a gorgeous blush pink Sabyasachi lehenga with loads of diamonds gracing her neck, ears, forehead and wrists. The pre-engagement festivities were held in Nita and Mukesh’s luxurious abode ‘Antilia’. It was decorated beautifully. Look how beautifully the interiors of Antilia have been decorated. Check out the grand stage set up for live performances. And that’s Shankar Mahadevan singing, BTW. Enough about flowers, curious to see the cake that the couple Shloka and Akash cut? Here you go, an exclusive picture of the grand cake. This is the decoration and interior of the Patotsav ceremony which was organised and hosted by Akash’s grandmother, Kokilaben Ambani. The temple is beautifully decorated with mangoes, fresh flowers and lights. Breathtaking isn’t it? 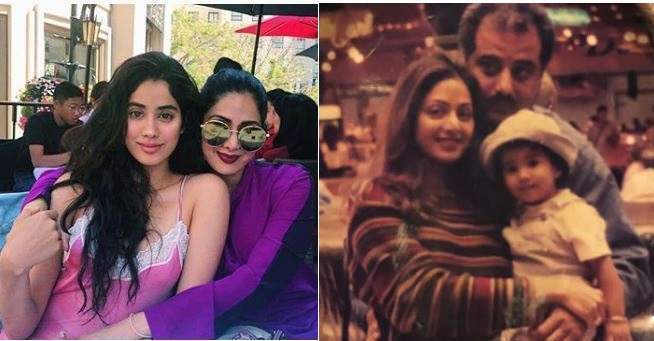 All these pictures and videos have made us excited for Akash and Shloka’s official engagement on 30th June 2018. 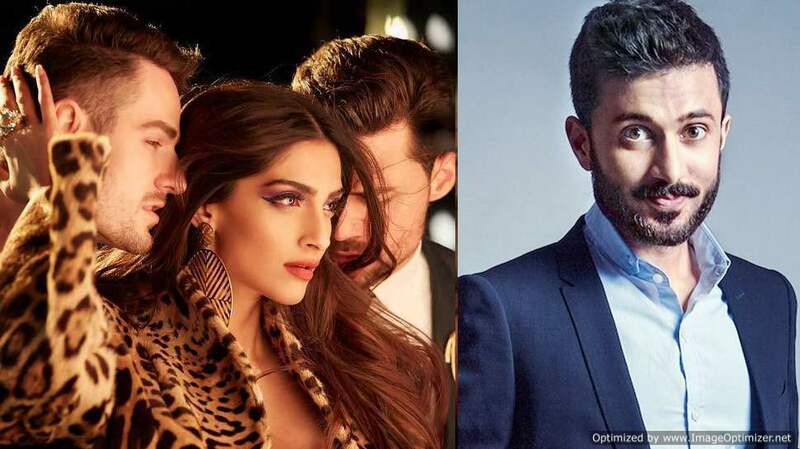 Next story These Unrevealed INSIDE Pictures From Sonam And Anand’s Wedding Will Leave You Moonstruck!